These are repeat customers who have been building their retirement home on Fox Island. It is a new construction home on what was a vacant lot. 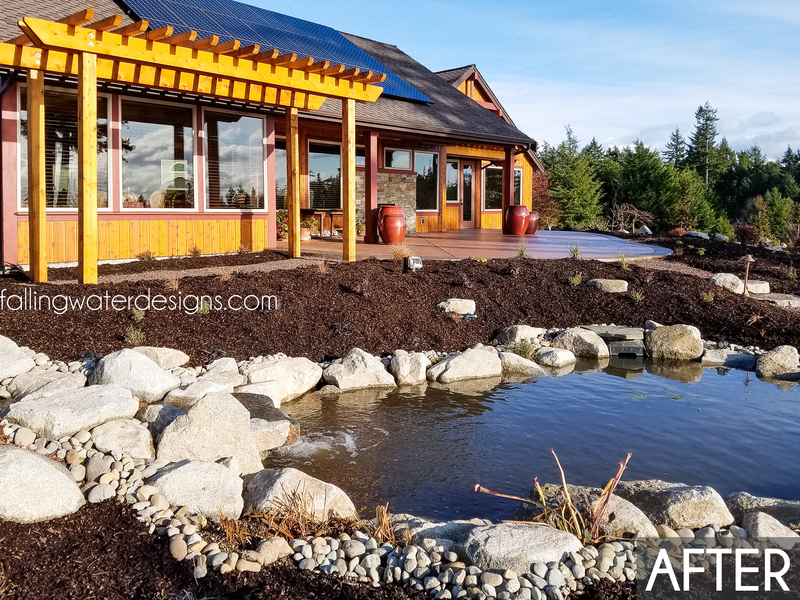 Rick’s garden design includes 500 yards of soil, 26 new trees, over 1100 plants, two water features, pathways, lawn, a vegetable garden, a destination patio, a fire pit and lighting throughout. 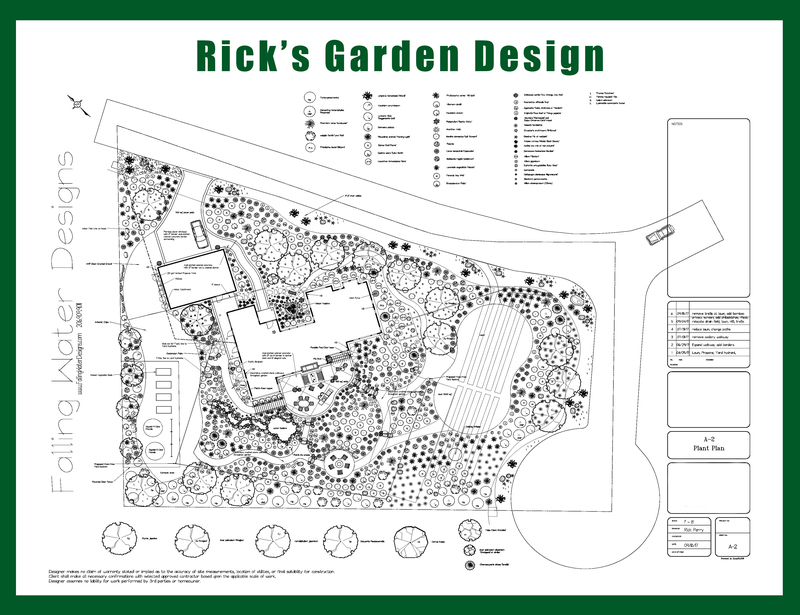 Take a look at Rick’s garden design plan and the before and after photos.